Packing for a holiday can be exciting, but also a little bit stressful, particularly when travelling to an unfamiliar destination. 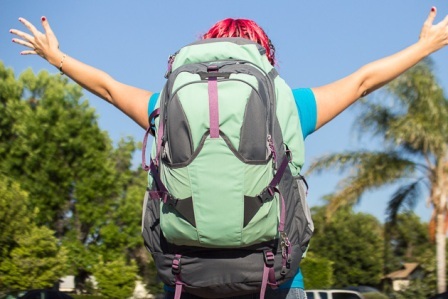 Here are some of our tips about what to pack for your volunteering holiday, and how to pack it. Pack in a rucksack. It is the most practical and comfortable way of carrying your things, and will force you to keep the weight to a minimum. Organise your packing within smaller bags to make things easier to find when you reach your destination. Only take clothes which you really need (and can wear in any combination). Do not take more than 3 pairs of shoes: trainers/walking shoes, flip flops and one pair of casual shoes. Only take cosmetics which are really necessary (toothpaste, soap, shampoo, suncream and/or aftersun), and bring them in small travel bottles to avoid unnecessary weight. Leave expensive valuables at home – these just create extra worry and attract unwanted attention. A ‘Water-to-Go’ bottle: This contains a filter which cleans any water (except sea water) which passes through it. Trekking towel: These sizeable towels roll up very small, and dry very quickly. What’s not to like? First aid kit: The Solotrekk first aid kit has been created specifically for travellers. Compact and easy to use, it contains everything you may need. Ear plugs: Useful for blocking out snorers in dorms, or background noise on buses, trains or aeroplanes. Head torch: Don’t underestimate the use of having hands-free light. Accommodation may be basic, light may be poor, and night-time activities may be necessary. Document wallet: A great way of keeping together important pieces of paper. Store travel money, passport, pens, travel insurance details, e-ticket and lose change here. They are compact, accessible and really handy. A plug adaptor (or spare camera batteries): So you are never caught short, and are able to capture every brilliant experience. Travelling is exciting, but inevitably includes waiting time (e.g. at airports), and times when you are likely to be alone. Be prepared and bring a good book (which could then be traded with fellow travellers), and a small group game (a pack of cards is great to break the ice). Bring a notebook too and try to find the time while you’re away to keep a journal; you’ll love to look back on your memories and experiences in years to come.